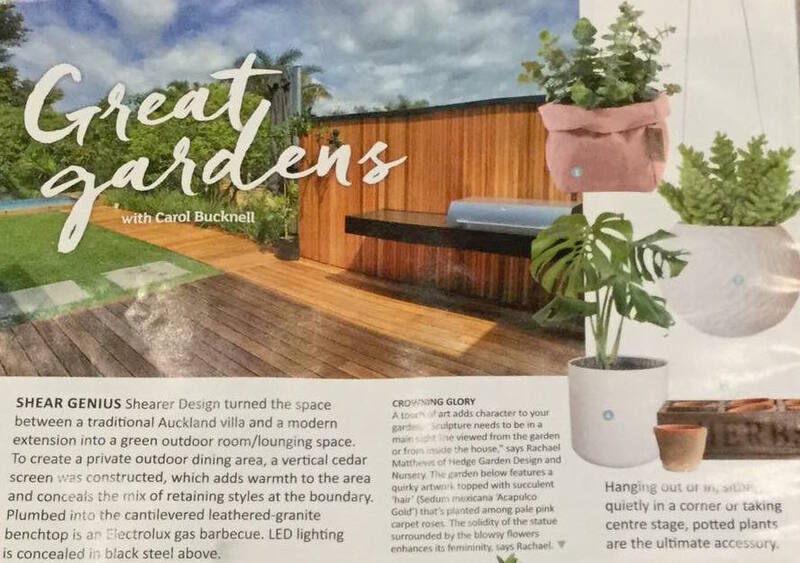 The team transitioned an ‘in-between space’ to a purposeful green lounging area and and in doing so caught the attention of Registered Master Builder’s prestigious annual publication, National House of the Year magazine. SHEAR GENIUS Shearer Design turned the space between a traditional Auckland villa and a modern extension in to a green outdoor room/lounging space. To create a private outdoor dining area, a vertical cedar screen was constructed, which adds warmth to the area and conceals a mix of retaining styles at the boundary. Plumbed into the cantilevered leathered-granite benchtop is an Electrolux gas barbecue. LED lighting is concealed in black steel above.